According to the American Farmland Trust, every minute of every day we lose two acres of farmland to sprawling development in the United States. Jackson County has not fared well either—between 1987 and 1997, Jackson County lost 17.5% of its agricultural land base. The region is still losing farmland—development pressure on farmland is only likely to grow stronger as our population increases. Reducing Rural Sprawl—In July of 2012, we forced Josephine County to apply new state laws used to define forestland. The county was reluctant to apply these new laws preferring to use its antiquated system of measuring forest production, which makes it easier to convert forestland into rural sprawl. We educated neighbors about complex laws and procedures so they could effectively participate in the process. Maintaining Quality Farmland—In 2012, we closed the loophole in Jackson County, which allowed mining on farmland under the guise of a farm-use activity. The illegal siting of aggregate mines on farmland in both Josephine and Jackson counties has long been a problem that needlessly destroys good farmland. Preservation of Farmland—In 2011, we partnered with 1000 Friends of Oregon and Friends of Jackson County to lead a campaign, which involved the public in the Greater Bear Creek Regional Problem Solving Process (RPS). 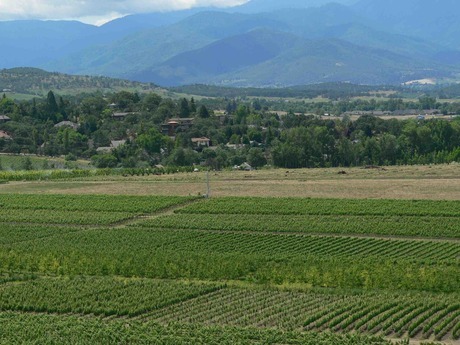 RPS proposed to urbanize thousands of acres of farmland in the valley. We organized citizens and farmers to testify at the hearings. Two results of this work include reduced farmland loss and increased protections for farming in the region. Empowering Civic Engagement—In 2011-12, we conducted a series of community-based education seminars called Envision the Rogue Valley to engage the public in envisioning the community they wanted as an alternative to sprawl-based development. These forums, attended by scores of your friends and neighbors, culminated in a report and video available on the Rogue Advocates website. Advising on Resource Land Use—The Southern Oregon Regional Pilot Program is attempting to develop a new definition of farm and forest lands in Jackson, Josephine, and Douglas Counties. This project was initiated by Gov. Kitzhaber’s Executive Order 12-07 and is the result of pressure from developers to change land use laws in order to make it easier to gobble resource lands. 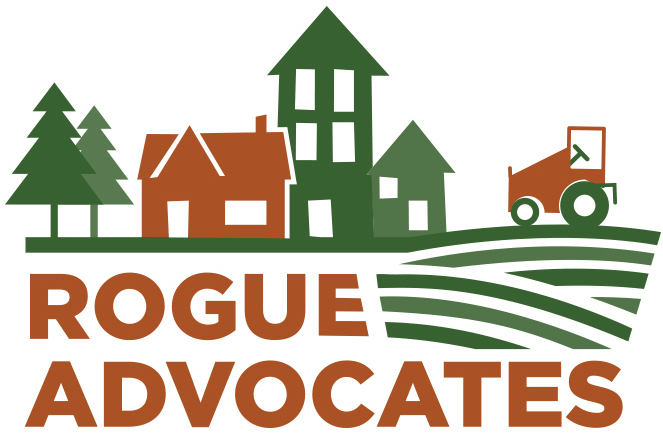 Rogue Advocates is closely involved in this process as an advocate for retaining farm and forestland into the future. Continuing Civic Engagement—Now that the Bear Creek Valley has a regional growth plan, cities will begin to move forward with their Urban Growth Boundary expansions. As part of our ongoing Envision project, Rogue Advocates will engage with decision makers to ensure that our recommendations and strategies become a reality.